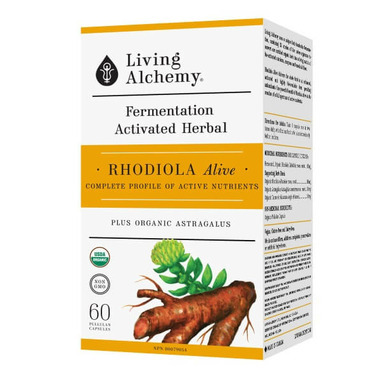 Living Alchemy uses the ancient art of fermentation to activate Rhodiola into its superior form for Rhodiola Alive. They ferment our finest organic Rhodiola using a month long fermentation containing 35 select species of micro-organisms from kefir and kombucha cultures. This activation delivers the complete synergy of the herb within a living food matrix for exceptional vitality and bio-availability. Rhodiola has a long tradition for being a herb to support both physical and mental stamina. 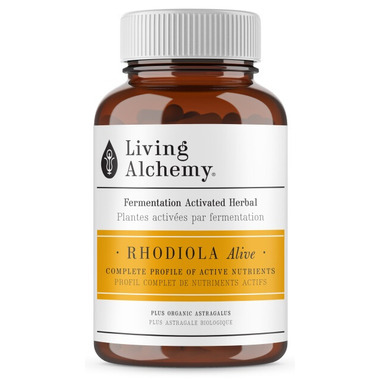 Even Olympic athletes and astronauts have used Rhodiola for its supportive anti-stress and anti-fatigue effects. 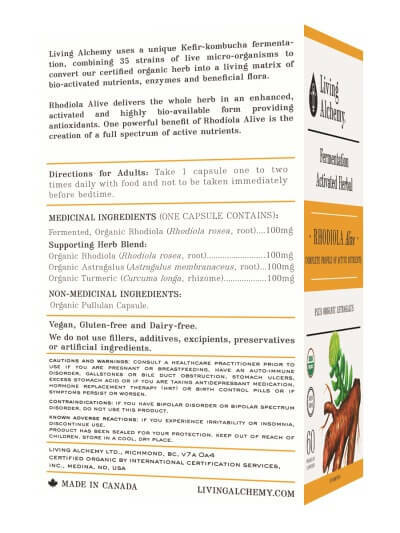 In this modern life of constant, energy-depleting stress, Rhodiola provides the perfect support. When their whole Rhodiola is long fermented, the full spectrum of nutrients are activated and the effects become far greater. Our fermented, organic Rhodiola has been the subject of some impressive studies including a 300% greater effect than Rhodiola extract after 7 days on both stress & anxiety. As well as, their fermented Rhodiola increased stamina under stress and increased lactate, a fuel used by the body during exercise to decrease fatigue. Directions: Adults: Take 1 capsule one to two times daily with food and not to be taken immediately before bedtime. Caution: Consult a healthcare practitioner prior to use if you are pregnant or breastfeeding, have an auto-immune disorder, gallstones or bile duct obstruction, stomach ulcers, excess stomach acid or if you are taking antidepressant medication, hormone replacement therapy (HRT) or birth control pills or if symptoms persist or worsen. If you have bipolar disorder or bipolar spectrum disorder, do not use this product. If you experience irritability or insomnia, discontinue use. Very effective product combining 3 of the best ingredients. Rhodiola for stress and energy, astragalus for immunity and turmeric that is anti-inflammatory.